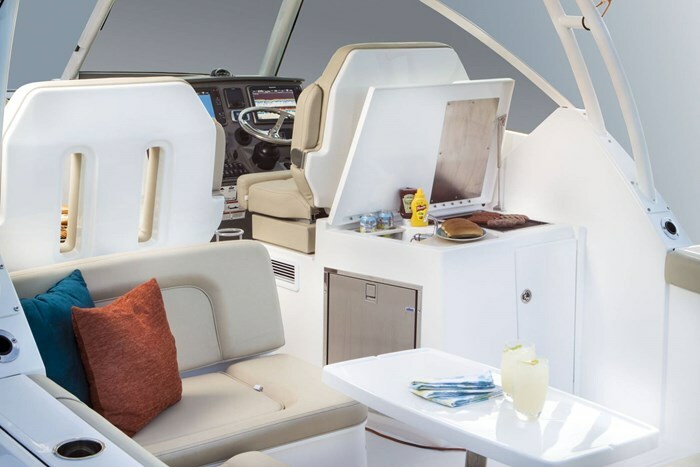 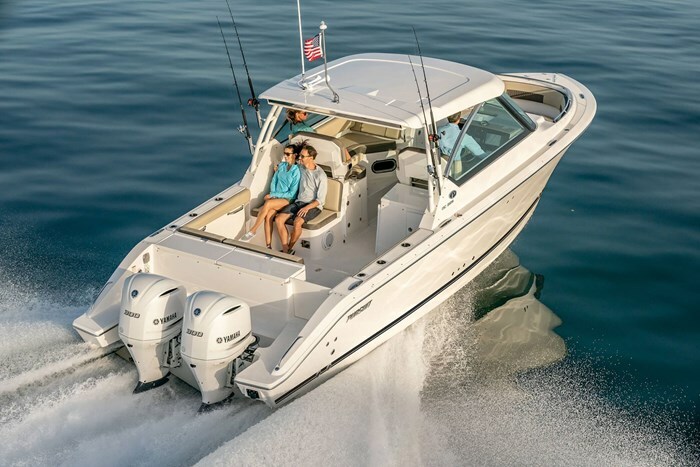 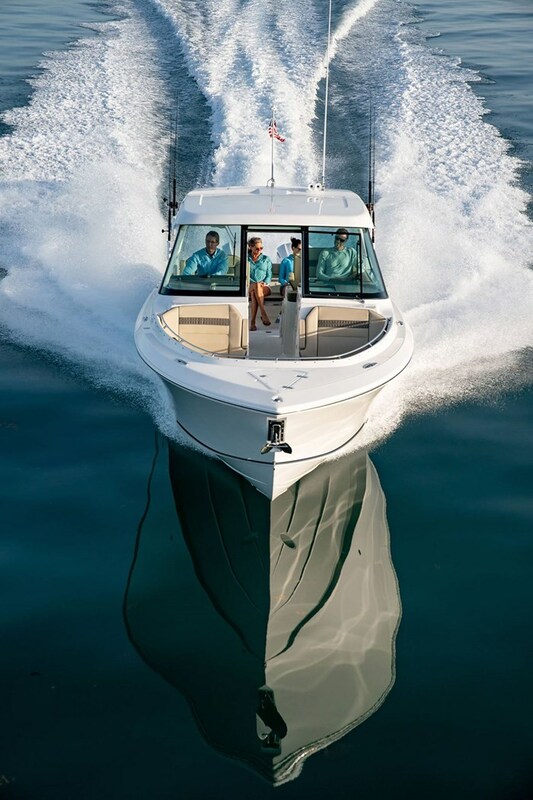 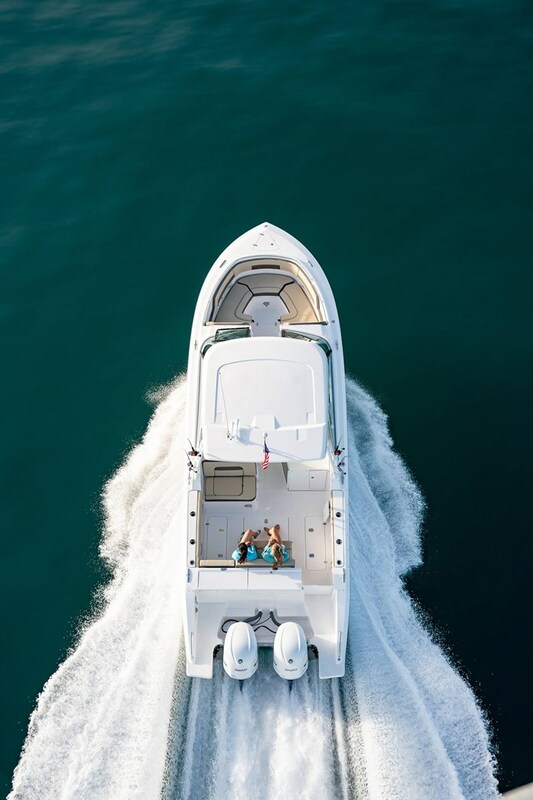 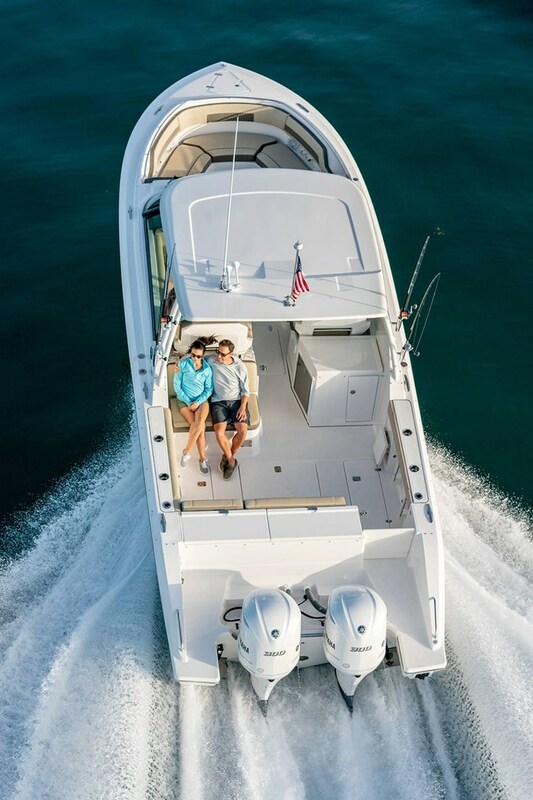 The DC 325 dual console combines central utility, a starboard side helm center and tremendous seating functionality into an elegantly styled boat. 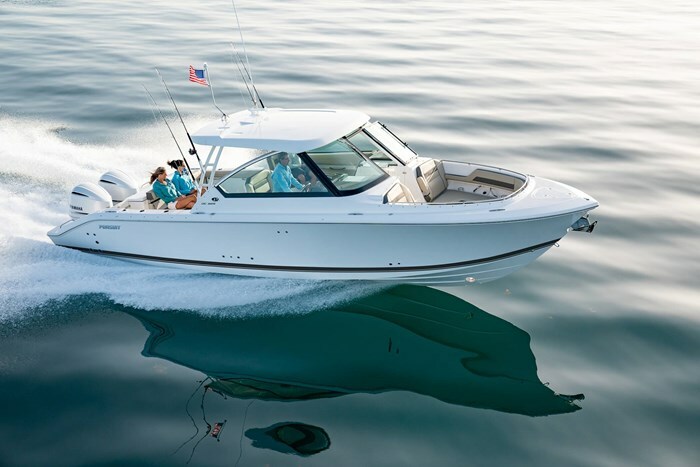 The DC 325 features an open bow design with full wrap-around seating and plenty of storage. 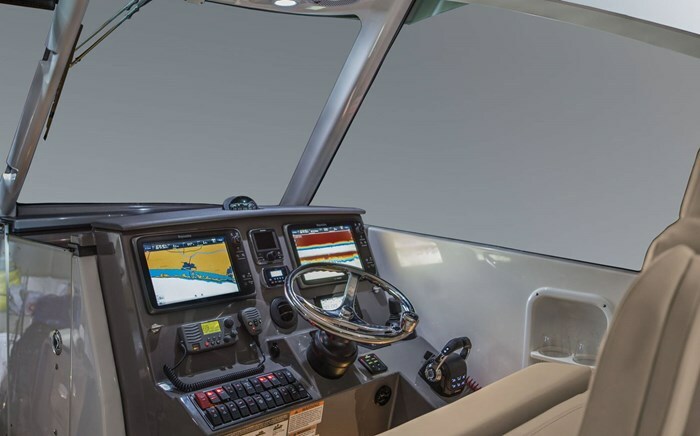 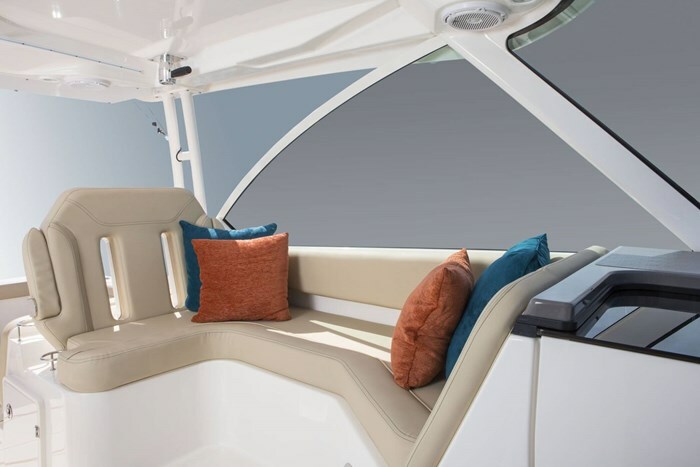 The fully integrated fiberglass hardtop with visor is engineered with a tempered glass windshield system, composite frame forward and bonded to the fiberglass hardtop. 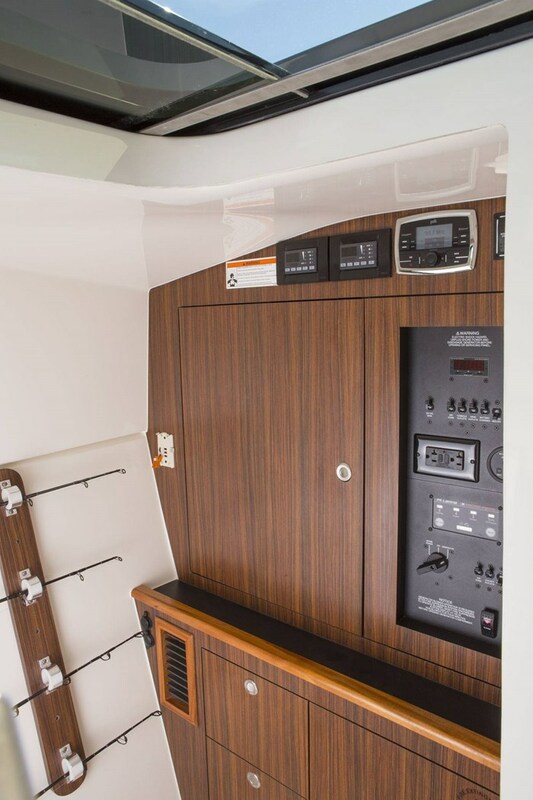 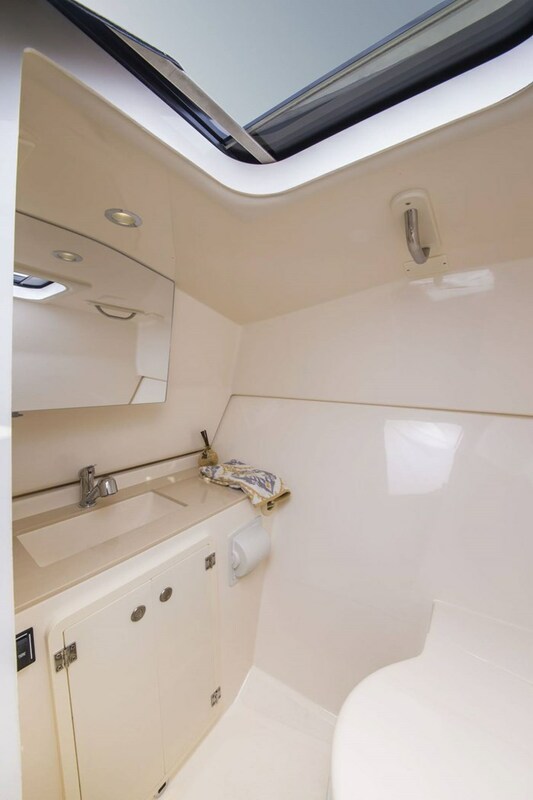 Port and starboard glass is fixed in a white, powder-coated aluminum frame complete with recessed enclosure track. 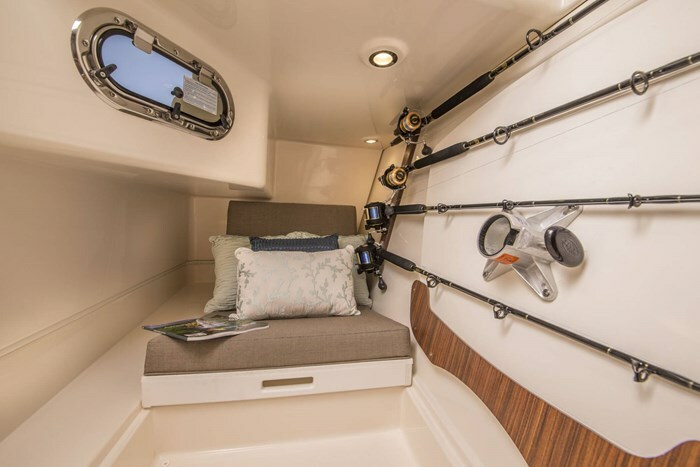 The port side wrap-around lounge, double-wide helm seat, cockpit seating and forward bow seating offer plenty of available spaces to satisfy everyone’s favorite spots to ride along or run the DC 325. 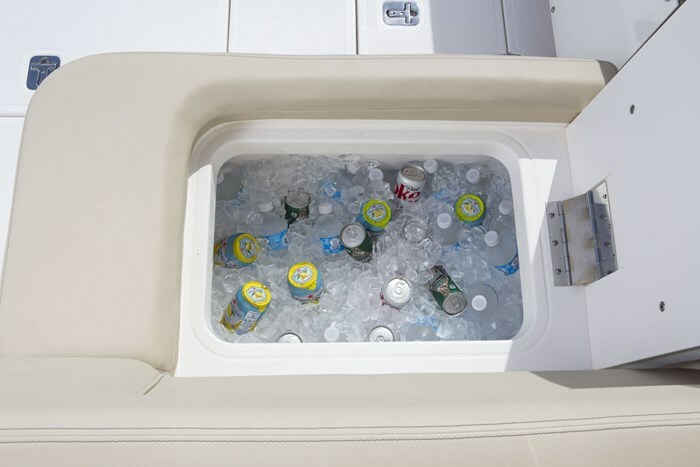 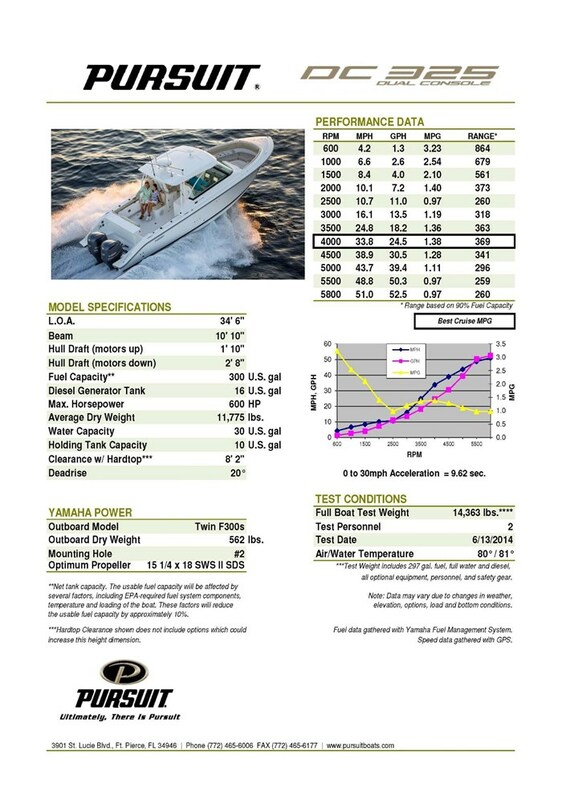 * I would like to be added to newsletters or special offers from Crates Lake Country Boats.